Dreaming of businesses cooperating? Wishing you could get a group together to hold special shopping nights? Here’s the plan to build cooperation among competing local businesses. Photo by Becky McCray. 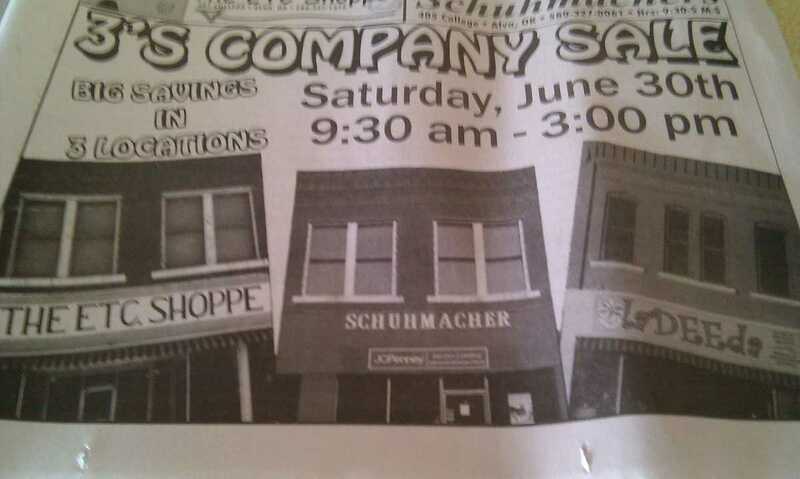 Businesses in small towns don’t work together very well. That was one of the top findings in our Survey of Rural Challenges. Intriguingly, another key finding was that small town businesses have difficulty in marketing themselves. Competing locally, nationally and online is challenging. Several people mentioned the difficulty of keeping up with changes in marketing. Reduced effectiveness of newspaper advertising, the fast rate of change of online marketing, and difficulties in reaching customers today leave some businesses at a loss. Seems like these two things might be related, hmm? Small businesses that are challenged with marketing could band together, work together on keeping up to date on new marketing techniques, and benefit from combined resources to generate bigger results than they could alone. That’s what could happen, but apparently doesn’t happen very often. In fact, last month, Germaine wrote in with this same question. I’m not sure I’d use the word “mall” to describe the ideal of businesses cooperating. Maybe “business community” is a better term. We need to appeal to business owners’ aspirations, the best version of how they think of themselves. So talk about your business people as Leaders of the Business Community instead of competitive individuals. Renee G, from The Garage in Fort Stockton, Texas, (where you can get coffee, listen to music and more), wrote in last year to share her success with building cooperation. “When getting ready to open our business, we were getting the ‘vibe’ that businesses here didn’t play nice with each other – very territorial and not willing to share information, support, and in some cases – even talk to each other, even when the businesses were in completely different industries. We decided that just wouldn’t do at all. “So we spent a year promoting other business’s events, websites, facebook pages – anything and everything, even when it directly competed with events we were holding. Customers noticed and it certainly helped build our reputation in the community, but even better than that – we now have over 20 local small businesses working TOGETHER on a Memorial Weekend giveaway package. Renee was very smart in starting by promoting others with no expectation of return. The customers noticed and the other businesses noticed. It took a year or more to get businesses working together. Are you ready to spend a year on this project? That’s what it is going to take. 1. Look for the Leaders who are already working together. Look for the Renees who are building community and for those who do small joint projects, maybe just in twos or threes. 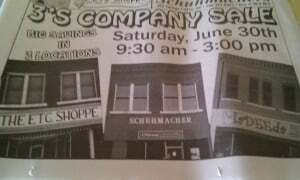 The ad shown below is a group of three local businesses cooperating on their own. These are the kinds of examples you’re looking for. Find out how and why they got started and kept cooperation going. Duplicate that. 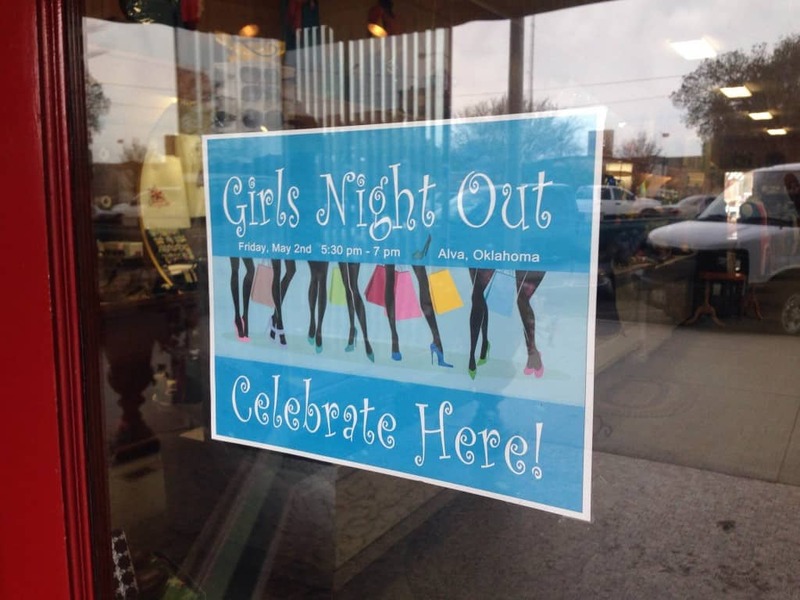 Three local businesses cooperating on their own by marketing together. Look for any examples of cooperation like this in your town. 2. Create a list of local people and businesses on Facebook. Check it daily. Re-share what local people are talking about to promote discussion and connection. 3. Start by having coffee together with business owners and talk through upcoming joint promotions or community events. Do this regularly, maybe monthly to start. It will likely take a year or more to get them to start actually working together. 4. Appeal to their marketing challenges, but don’t start with big joint campaigns. Start with small ways to learn about current marketing techniques. Start with tiny-group cooperation with only two or three businesses. Start with a flyer they can post in their window and nothing more. 5. Create social-media lists of local businesses. Use a tool like List.ly or Pinterest. Share the project widely on social media to get others involved in the list-making. You’ll discover you have more businesses than you thought, and you’ll be giving your businesses more public recognition. Encourage businesses to share the list to bring more attention to the entire business community. What projects have helped you to build cooperation with other local businesses in your community? Very good article Becky. I’ve been preaching the idea of breaking down ‘silos’ (metaphorically speaking) in society for a couple years now. However it’s been more from a standpoint of getting neighboring towns and cities to cooperate rather than compete. However I assumed for the most part citizens and businesses within a small town would for the most part collaborate. Your article showed me I may be wrong. You list is tips is good. If I may, I’d like to single out one of them though. Rather than attack community business cooperation head on, why not get business owners to collaborate on something that everyone has a stake in. The most obvious one in a small town is its schools. And by schools, I mean a business organization (even if it’s just one community leader) could organize a volunteer effort to help a local school where everyone’s kids attend. Just giving money to the cause doesn’t work. It would have to be a hands on effort where people maybe not used to dealing with each would have to in order to accomplish the stated goal. An example of this could be constructing or fixing a playground, or even setting up and running school sponsored community farmers market. The actual options will depend on the town. Once a precedent of collaboration is established in this indirect fashion, then hopefully these collaborators will take it to professional level with their business pursuits. People are creatures of habit. A small town might as well take advantage of it by jump starting a collaborative energy in their community. Clay, thanks for taking time to share your thoughts. I’m glad the survey results have given you a new perspective. I definitely agree that an indirect approach is a good idea. That is one factor in why Renee was so successful; she didn’t go directly to people and ask for their support. She just modeled the behavior she was wanting to encourage. I think that is the smartest first step for anyone. One other note, schools can be centers of local controversy and older business owners (who are the majority of business owners in most towns) don’t have kids in school. So carefully consider what might make a good group project that would win almost unanimous support in your town. This is so interesting, I’m from Brownsville, TX and we have a Small Business Group that we call Shop Hopping Around Brownsville, we have a couple of re-sale shops, a baker, restaurants, massage therapist and boutiques. We started this 3years ago. We get together once a month at every ones location for about an hour on the first Monday of the month. That is the only time we get to see each others place of business. We get to see what they have to offer where they’re at and we sometimes end up buying from each other. Plus we get to send our customers over when in search of a particular item especially because we know first hand that this particular business has it. We’re all busy and our hours of operation are usually at the same time. It works for us, we don’t charge dues, we do our own ribbon cuttings, we invite people over and have a great event for that occasion. The only stipulation for joining our group is that the business be in Brownsville and they must have a business location that is not their home. That means they took the extra step and are paying rent, taxes, etc. etc. Yolanda, I love how you use this monthly gathering to give everyone an inside peek at each other’s businesses. We all like to feel like special insiders. Congratulations on all that you’ve been able to do together! See, it’s not about the ones who don’t participate. It’s too easy to get hung up on them. It’s about the ones who do participate. Together, you make more happen. Becky, this was a great article! Oftentimes I will read articles that discuss collaborating with local businesses but never dive into how (pretty sure I’m guilty of writing that before too). I’m curious about small businesses who have huge social media followings – do you think these tips will work for other small businesses looking to collaborate with them, despite having small social media followings? Anyway, thanks for taking the next step and giving practical tips that are small and easy to take. Alice, it may not be the different size of followings so much as it might be the attitudes of the people behind the followings. So start from the presumption that people are people, and that we all have similar motivations, even if some feel a little “famous” online. Model the behavior you want to see: make the first move and be the one sharing. Find other offline, easy ways to collaborate, like getting a group of businesses to post copies of matching “shop local” flyers in their windows. Then progress to online sharing. Thanks for replying and for the suggestions, Becky! I really like what you said about how it may be the attitudes of the people behind them – valid point. I’ve seen a lot of small businesses (and individuals) grow inflated egos because of their social media followings and become very unapproachable because of it. Finding ways to collaborate offline sounds like a great way to break down that barrier and result in a more symbiotic relationship. In the Rural Marketing Today webinar I just lead, business cooperation came up. The advice we’ve talked about here should help. Get them started collaborating in smaller ways before asking for dollars. Cheryl, I’d say not to start by asking them to share your posts. You start by sharing their posts. You’ll have to model the behavior you want to see. And when you do, go out of your way to praise the posts they do make that are about community, events and people. When you praise them, they’ll start to do more of that, whether they realize it or not.